Имате въпрос към Elysia Boutique Resort? Сгушен в сърцето на Бо Пут, Elysia Boutique Resort е идеалното място, от което можете да започнете Вашето приключение в Самуи. Този 3-звезден хотел е леснодостъпен, тъй като е само на 8 km от летището. С удобното си местоположение хотелът предлага лесен достъп до всички градски забележителности, които задължително трябва да се видят. Предлагайки висококачествени услуги и широка гама от удобства, Elysia Boutique Resort Ви осигурява възможно най-комфортния престой. Докато са отседнали в този чудесен хотел, гостите могат да се насладят на безплатен WiFi достъп във всички стаи, съхраняване на багаж, Wi-Fi връзка в общите части, паркинг, коли под наем. Като допълнение всяка хотелска стая предлага широка гама от удобства. Много от стаите са с телевизор с плосък екран, безплатно разтворимо кафе, огледало, хавлии, гардеробна, за да удовлетворят и най-изискания вкус. Възможностите за отдих, които хотелът предлага са открит басейн, които също предоставят бягство от ежедневието и предразполагат за пълна почивка. Elysia Boutique Resort е най-подходящото място за Вас, ако търсите качествен хотел в Самуи. Отель расположен на узкой улочке, параллельной береговой линии. Отель на "второй линии" от моря, но напротив отеля море, в котором невозможно купаться из-за обломочного дня и какого-то осадка, похожего на ил. И глубина до полуметра. Купаться можно начинать у мексиканского ресторана. Прекрасный wifi в ресторане отеля. Неплохой бассейн. В отеле бывают веселые вечеринки во вркмя Ночных рынков. Wonderful location, comfortable sleep and flexible check in. We spoke with the manager often (Patrick) who was personable, helpful and wonderful to chat with. Our room itself was cute with the communal atmosphere feeling very green and lush. The free breakfast wasn't exactly what I thought it would be based on the prices of the cafe. The pool was a bit dirty I found a few plastic cups but it was beautiful lot up at night for a cool dip. Unfortunately when we were there they wifi wasn't working for the hotel itself and we only had the cafe wifi which didn't actually reach our rooms. had a standard double, pool view. bed very comfy. very clean. dvds available but tv not working. nice balcony. Bathroom not so great as cramped and floor always wet due to shower on same level. Incredible breakfast. staff super friendly. yoga great. Elysia and their Greenlight Cafe are staffed by warm-hearted people who want their guests to have a great time. If you are into healthy, organic foods this is the place to be. The rooms are above average for this area and clean. You can walk up and down Fisherman's Village easily. Highly recommended. We have a fantastic time here. The resort is located close to the beach and fisherman's village and it is so convenient to hang out. The owner from New Zealand can speak Japanese, Spanish, and Thai fluently other than English as He had lived in Japan for 24 years. He and other staff were very kind to us during an our stay. Breakfast was also nice and you can have meals made from organic ingredients because of organic farming. The room was clean and comfortable. We will definitely come back to this nice resort again. Отседнахме 5 вечер/и в февруари 2018 г. This is a great yoga/detox/clean living place, but not so ideal for kids. There is no cable, so no cartoons to occupy them. The beach close to hotel is not good for swimming- is pebbly,and it would be a long hike to get to a place that had more soft sand. Despite kid activities listed on the website, there are none (website needs to be updated, I was told, to reflect that). The great location (right on walking street in Fisherman Wharf) is nice and food is super. But this is more for adults looking for clean living, rest. Friday night salsa in the restaurant is nice (if adults only), for example. Отседнахме 10 вечер/и в януари 2018 г. We were staying in other place (Floral Hotel Pool Villa) before we stop by and decided to have a lunch in the restaurant of this hotel and ended up staying there for the whole day and decided to move in asap. The place serves the best food on the island, provide great accommodation, holds yoga sessions and salsa classes and is located in well balanced (in terms of noise vs accessibility) area. I love Patrick and the staff. IT is very quaint, But for the price, some of the facilities seem outdated. There were wires exposed under my bathroom sink and you often had to fight with the locks on the doors. Отседнахме 7 вечер/и в март 2016 г. We stayed for 7 days in Elysia and enjoyed especially the friendliness and openness of the whole staff. Our special thanks goes to Kevin, he helped a lot since he spoke German and we had some wonderful chats with him. And thanks to the wonderful Cheesecake! Our room was nice and clean, just the terasse could have some more stuff on it, it was a little bit much zen style. Very pleasant and helpful staff. 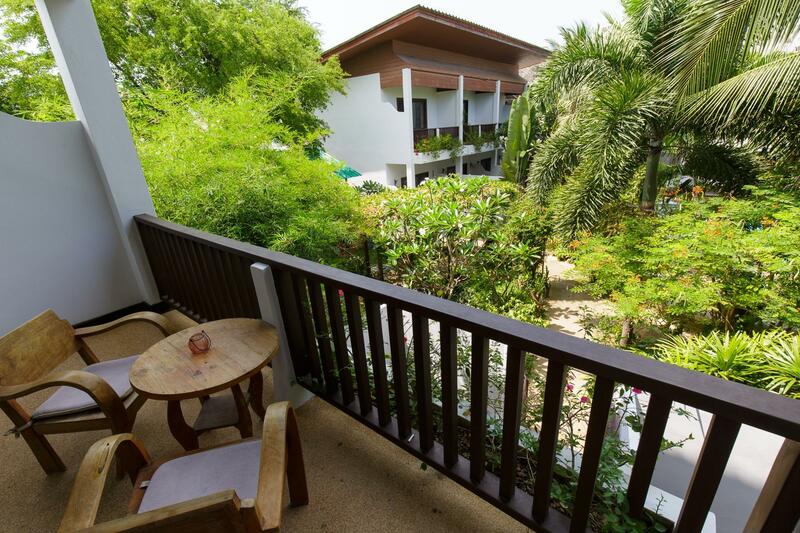 Nice large, well equipped room with balcony overlooking the pool. It was nice to have everything clearly explained in English and all questions answered! The only minor negative we were warned about was that the TV was"purely decorative" which was fine until the weather decided to turn one day. Отседнахме 10 вечер/и в декември 2015 г. Location, chilled atmosphere, comfortable stay. All well at this hotel. Lovely clean comfortable rooms,nice pool with a lovely chilled out bar/lounge. 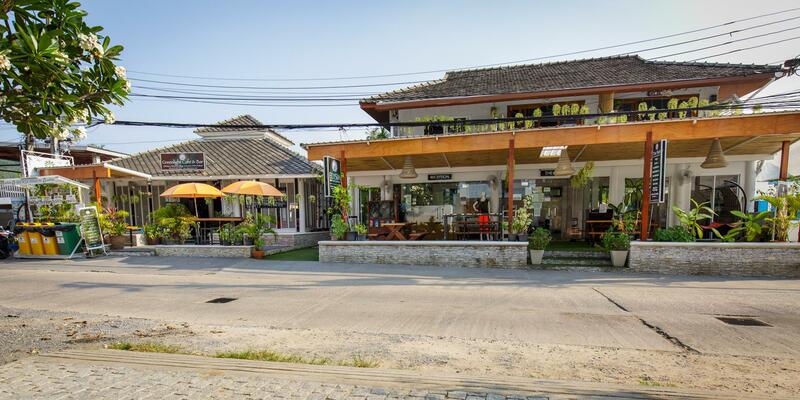 Good location in fisherman village,ample supply of bars and restaurants at hand.Handy scooter ride to Chaweng town. Only thing I would improve with the hotel is the WiFi or lack of it in the rooms, I found it very hard to have full time access to it . Beautiful room, the lounge is beautifully decorated & the staff go out of their way to make sure you're happy! It was very comfortable & I'd recommend it for any couples or even families. The wifi is hit & miss, but this is regular for Thai islands. The staff are really friendly & help you with any needs you may have. Some of the food is really good & some is disappointing. This doesn't matter as the hotel is located next to all of the bars & restaurants in fisherman village. I recommended Barracudda for Michelin star style food, but it's provide than other restaurants. Be sure to book a table a day or two in advance because it gets fully booked on the day. 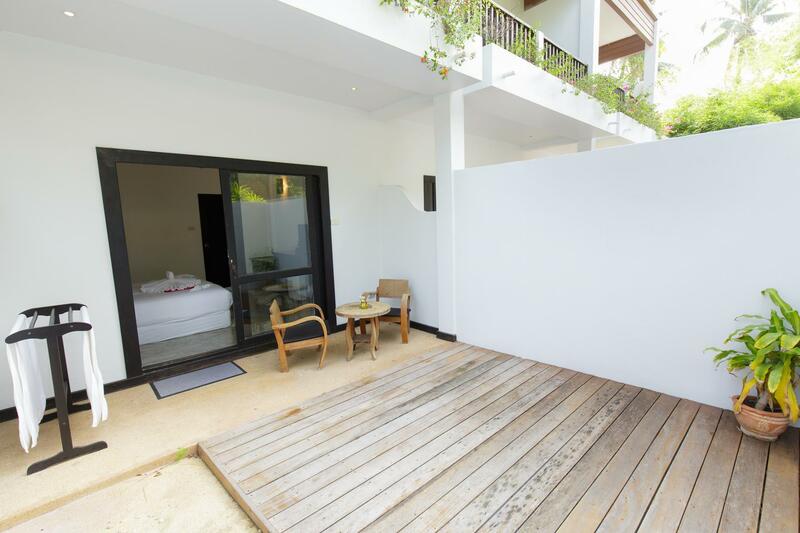 We stayed for 5 days at Elysia Boutique Resort and thoroughly enjoyed the experience. The owner Patrick and the lovely manager Carole and their staff made this a very comfortable and welcoming stay over Xmas. The location is right in Fisherman's village very close to the beach. Rooms are clean and comfortable. They even have a veggie patch to grow their own food. Keep up the good work! Отседнахме 5 вечер/и в октомври 2015 г. Just finished a short break in Koh Samui. The only negatives I can possibly have with the hotel are the fact that the wifi was pretty bad in the rooms, not great if you need to log on and would have been nice to do so at night time and maybe on the great balcony I had. The shower was also pretty poor in terms of water pressure and hot water quantity (not much at all), also there was a tv but it didn't have any cable connection (so was basically a room ornament!) so if that's your thing then maybe look elsewhere. Having said all that, the owner is totally aware of these issues and is doing something about them - not an easy task to do quickly in sleepy Samui so very understandable! The positives of this hotel are many: it's in a great location, has spacious and very nice rooms and the staff really do make it feel like home. I've never stayed anywhere that I actually looked forward to hanging around just because the staff were so friendly and full of great conversation but also happy to leave you to your own space. It was a perfect balance. The owner (Patrick) is also on a very worthwhile mission to become a largely sustainable resort in terms of energy and food sourcing and the organic garden and outdoor rain shower at the back of the hotel rooms was great to see. I would stay here again without a doubt (though really hope the wifi and shower is better when I do). The staff. The value for money. Cleanliness. This hotel is a really nice boutique hotel and certainly a favourite of myself and my girlfriend's so far that we have stayed in during our travels around Thailand! The owner Patrick and his manager Carol are two of the nicest, most welcoming people we have ever met and did everything they could to make sure our stay at the hotel was as good as it could be. The hotel is in Fisherman's Village which is a great location. Literally a two minute walk to the many restaurants and shops in the area. They do have their own restaurant on the ground floor of the hotel which is also excellent value for money with delicious food served from a good choice of menu. (Make sure to order a carrot, apple & ginger fresh juice. AMAZE!!) This hotel will not disappoint that is for sure. So if you're reading this review and deciding whether or not to book i have three words for you....GET IT BOOKED!! !